The classic British sci-fi drama is back. Yes, that’s right, Doctor Who is back for Series 9 (or Season 36 if you count the original Doctor Who programme). It is one of the most anticipated sci-fi dramas not only in the UK but also around the world. Doctor Who has a large following in the United States, Asia and other locations and it isn’t just us Brits who are eagerly awaiting the 9th Series which is due to by broadcast on September 19th, 2015 on BBC One. If you’re in the UK then the earliest opportunity to watch will be by tuning into BBC One on your TV at 19:40 or by using the BBC online streaming service BBC iPlayer that offers live TV. If you’re outside the UK then you can also watch on BBC iPlayer at exactly the same time or by using their catch-up service after it has been shown on live TV, but it requires a small workaround. You’ll need to use a VPN to watch if you’re outside the UK which sounds more complicated than it actually is. My guide below will explain what you need and how easy it is to use to watch Doctor Who Series 9 from anywhere in the world. BBC One has an online streaming service known as BBC iPlayer that shows both live TV and has a 30 day catch-up service. If you try to access the service outside the UK you get hit with a screen informing you that you can’t watch from your current location. The site knows your physical location based on your IP Address which is a set of unique numbers that makes the internet work. 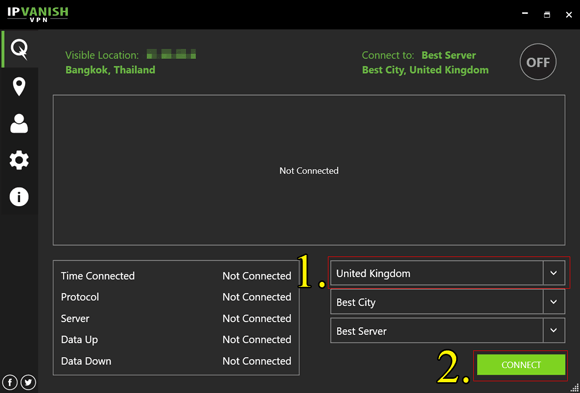 The way to bypass this block message is to obtain an IP Address from the UK. To do this, you need to sign up for a service called a VPN (Virtual Private Network). A VPN is a legal way of encrypting your internet connection so no pesky internet hackers can snoop on what you’re doing online. Part of the purpose of the service is it protects your privacy and one way it can do this is to obscure your location and make it appear as if you’re in another country. 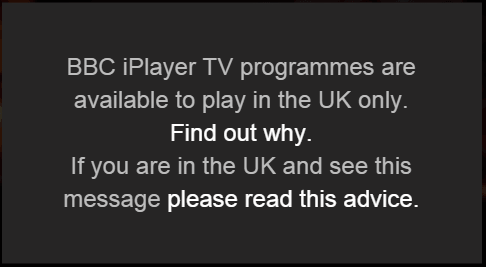 So if you’re a British expat living outside the UK, you’re travelling or you’ve never even set foot in the UK then a VPN can make it appear as if you are in the UK and then Doctor Who Series 9 will stream online on BBC iPlayer without any problem. 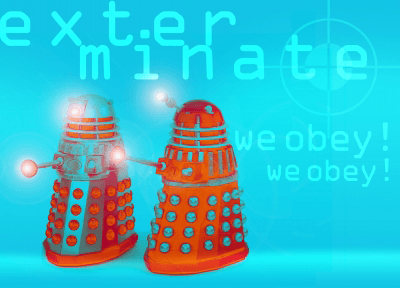 Keep on reading and I’ll show you where to get a VPN and how easy it is to use to watch Doctor Who Series 9. VPN services are offered by thousands of different companies. A simple search of Google for “VPN service” will bring up a ton of choices. To stream live or catch-up TV you need a VPN provider that offers top notch speeds, without you’ll be left with a laggy or stuttering stream that will obviously ruin your enjoyment of watching Doctor Who Series 9. The further you are away from the UK the more critical speed becomes. I test VPN services on a daily basis and also run monthly speed tests and from this it allows me to know which are the better VPN services. Below are my two top choices for watching Doctor Who Series 9 outside the UK. Just follow one of the links above and sign up to a provider. They cost around £3-£6 (approx US$5-$10) per month but if you want to watch the entire Series 9 of Doctor Who then it’s worth signing up for a longer period of time because it works out cheaper. Once you’ve signed up you’ll be provided with links to download the VPN provider software or app. You can watch on PC, Mac, Android or iPad/iPhone devices so decide which device you want to watch on and then download the appropriate software or app. You can alternative between devices with the one account so feel free to download their software or apps for multiple devices. Once you’ve downloaded and installed their software or app you need to connect to the UK. This is self explanatory on most providers software but with IPVanish you can access this by pressing Server Selection on the left hand side and then UK Media or Gaming on their Windows or Mac software. On Android, you simply log in and scroll through the available countries to find the UK. On iOS such as the iPad or iPhone log in and the press the right direction arrow under Not Connected then choose the UK. Once it has connected on a PC or Mac just visit the BBC iPlayer website. On Android or iOS devices you can run the BBC iPlayer app. If you don’t already have the app installed you may need to read our “How to download Android apps out of country” article. Series 9 starts on September 19th, 2015 and runs for 12 episodes all the way through to December 5th, 2015. You can watch live online on BBC One on BBC iPlayer or use their catch-up service which will hold each episode for 30 days. Series 9 will contain loads of two-parters meaning you’ll be left hanging for conclusions of stories. The series kicks off with a two-parter called The Magician’s Apprentice which will be followed up the week after with the concluding part called The Witch’s Familiar. If you want to get yourself ready watch the trailer below that should keep you ticking over until Series 9 starts.